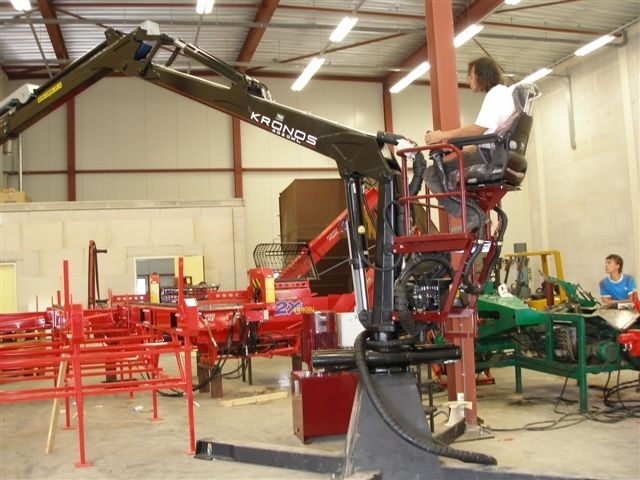 Also for an special advice and product, you are more than welcome at Schouten Machinery Liessel. 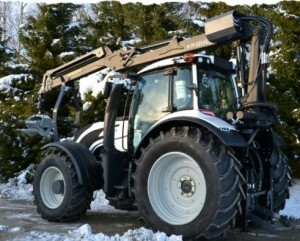 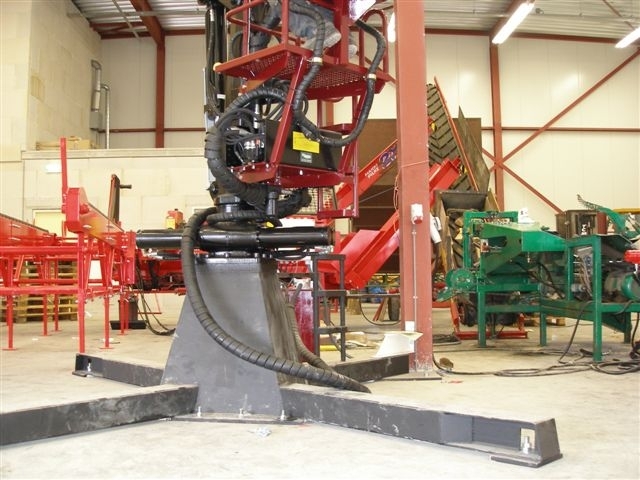 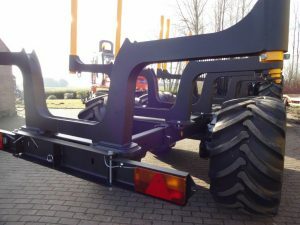 Underneath you could find some products that Schouten Machinery Liessel delivered on special requests of the customer. 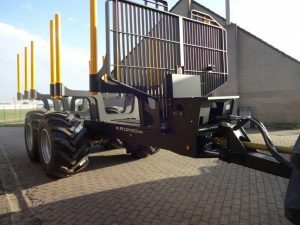 In 2017 Schouten Machines Liessel delivered a Kronos 160 4WD wood trailer. 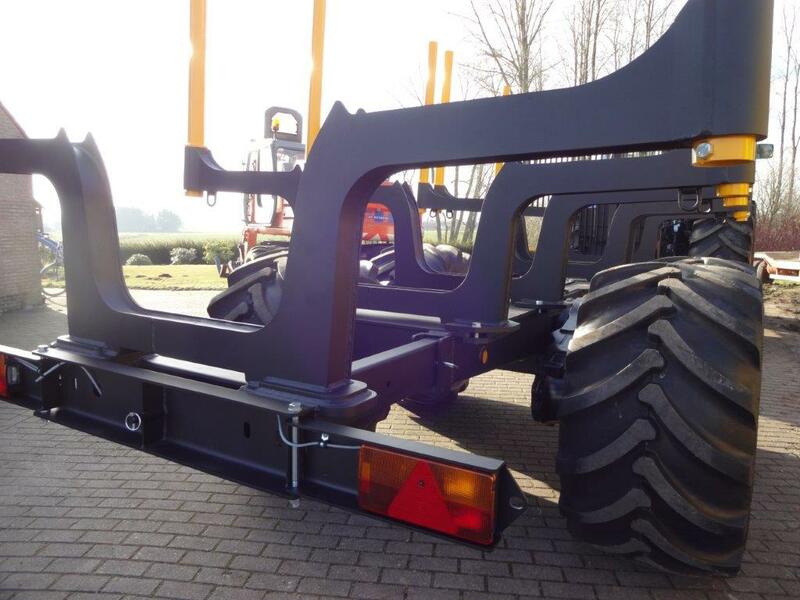 The actual problem of the client was that the old wood trailer had not enough loading capacity and not enough grip at a steep slopes. 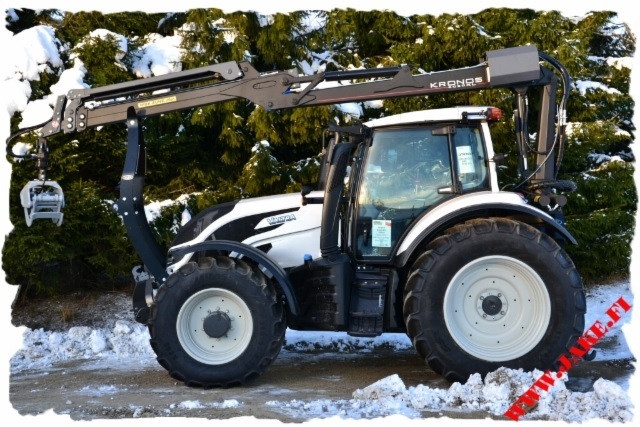 The Kronos 160 4 wheel drive has 15 ton loading capacity and mechanical 4 wheel drive (driven by the power take off of the tractor). 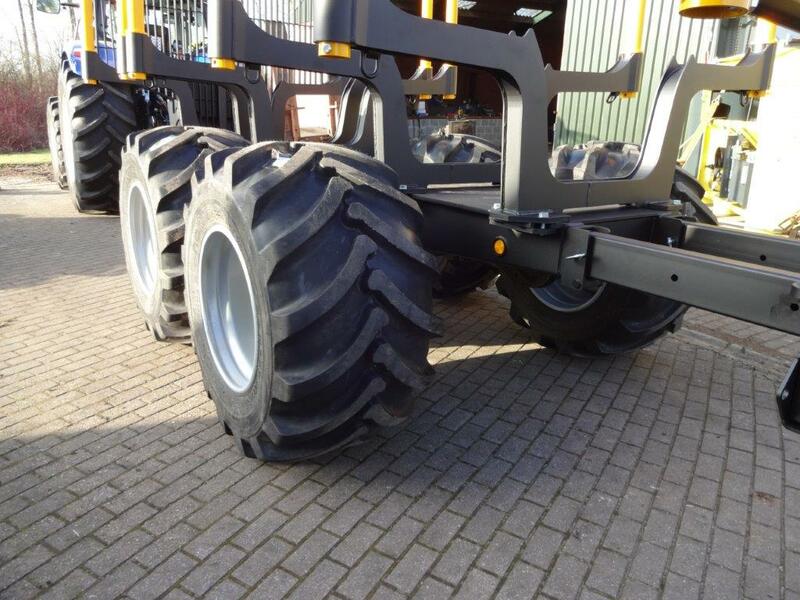 The size of the tyres is the biggest size that is possible on this type of trailer, 710/45/26,5 (20pli). Also the wood trailer is extendable from 4 meter to 5,50 meter. 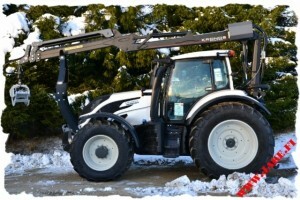 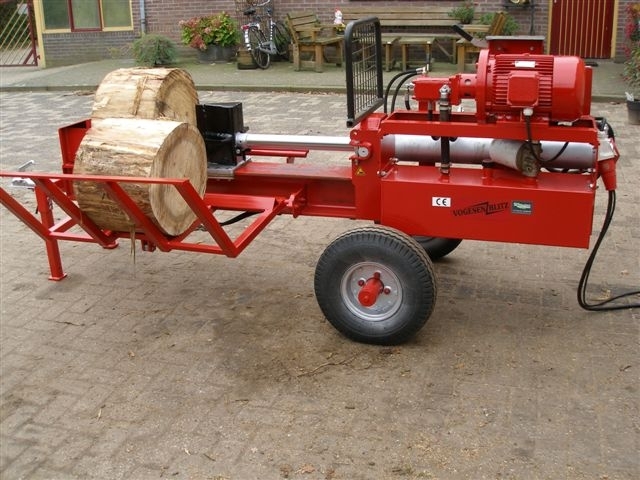 At the end of 2015, a customer came to Schouten Machinery Liessel that he was looking for a forest machine that could lift and move logs with a length of 2,40 meter. 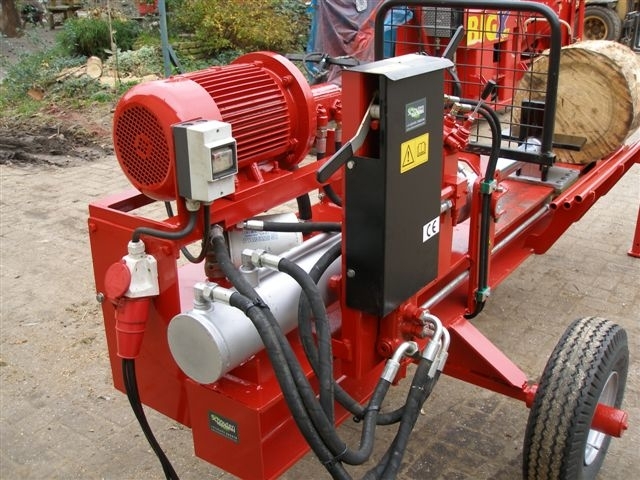 His forest trailer must be able to attach to this machine and the machine must be useable for other proceedings than forest proceedings. 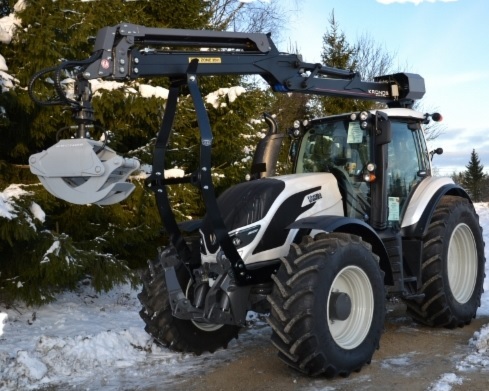 The customer decided for a brand new Valtra T4 tractor and we build a Kronos 6020Xl crane with JAKE tank and bottom and frame armouring on this tractor. Also a JAKE fast mountingsystem was mounted, so the Crane was able to mantle or dismantle within 10 minutes. 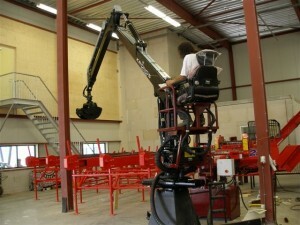 The Crane has a total reach of 8,90 meter. 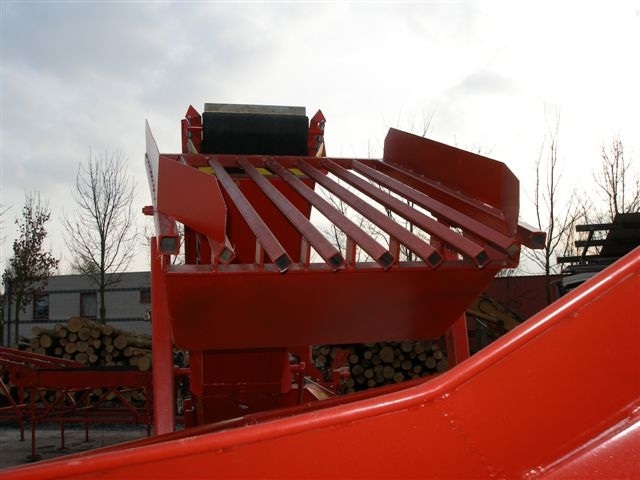 A customer in The Netherlands wanted for his wood production system ‘a long and strong’ crane, which was able to load logs on a long distance and to move the logs to his Hakki Pilke feeding tables. Also one other wishes of the client were that the crane must be able to turn 360 degrees and must be driven by 400 Volt electric power. In the end the customer and Schouten Machines Liessel decided for a Kronos 6020XL Crane with fixed montage by an iron colon anchored into the ground. 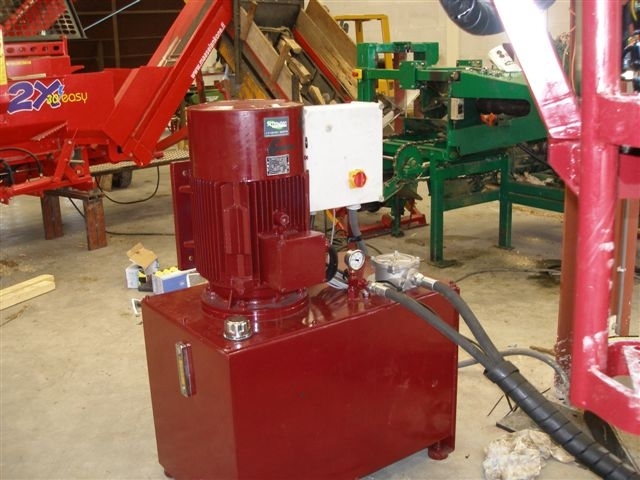 The driving is made by a hydraulic system that is driven by an powerful electro engine. 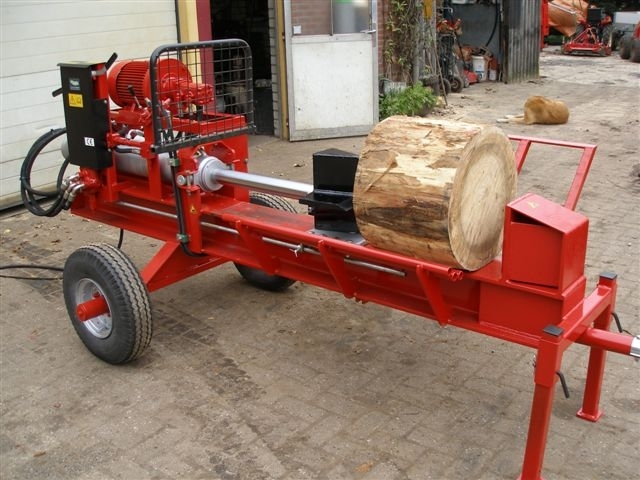 For a client in the wooden shoes industry, at the time that he was looking for a splitting machine, there was no log splitters on the market that succeeded to his wish list and budget. 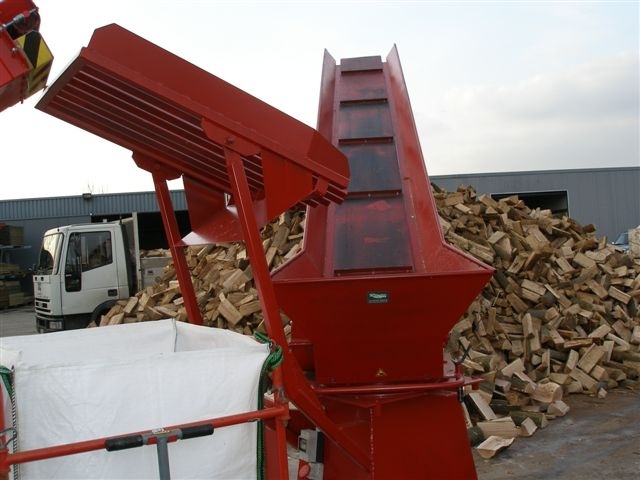 Schouten Machines Liessel, in combination with AMR, has delivered the following logsplitter. This AMR logsplitter was adjusted with an wheel set and coupling. Also a hydraulic log lifter was mounted. This AMR logsplitter has a electro engine (400 volt driving) with an double hydraulic pump. 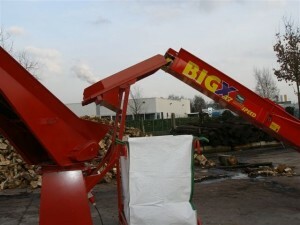 The splitting length is 1,10 meter and the splitting power is 27 ton. 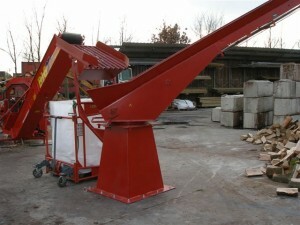 In 2007, we delivered the understanding cleaning installation with moveable conveyer for a customer in Belgium. In 2007 there were no cleaning conveyers on the market. 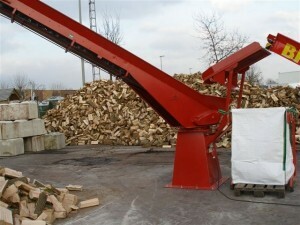 But this Belgium customer wanted to deliver his wood as clean as possible to his clients. The waste is captured and the clean wood is transported further by the hydraulic conveyer.